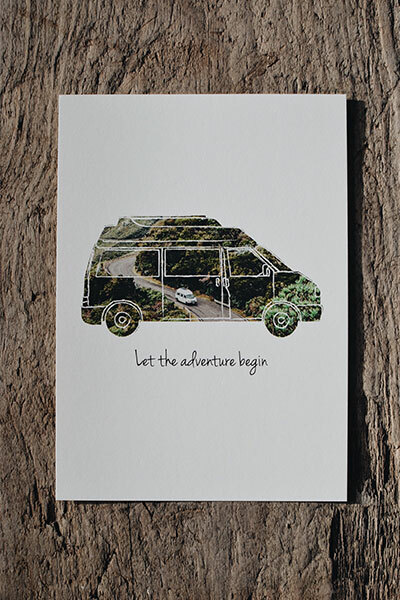 For vanlovers, adventure seekers and roadtrip enthusiasts. As a gift to a friend, to send a greeting from your trip or just for you to hang it up on your wall. 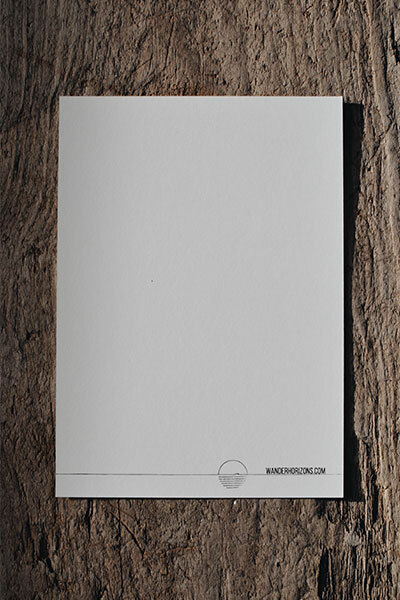 Format DIN A6, 300 g Munken Pure, Design Paper. Made on the road in Europe. 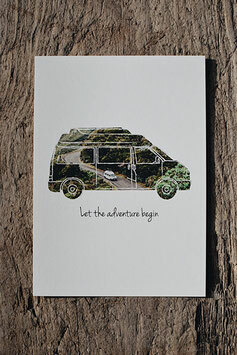 Wanderhorizons Postcard - For vanlovers, adventures seekers and roadtrip enthusiast. As a gift to a friend, send a greeting from your trip or just for you to hang it up on your wall.